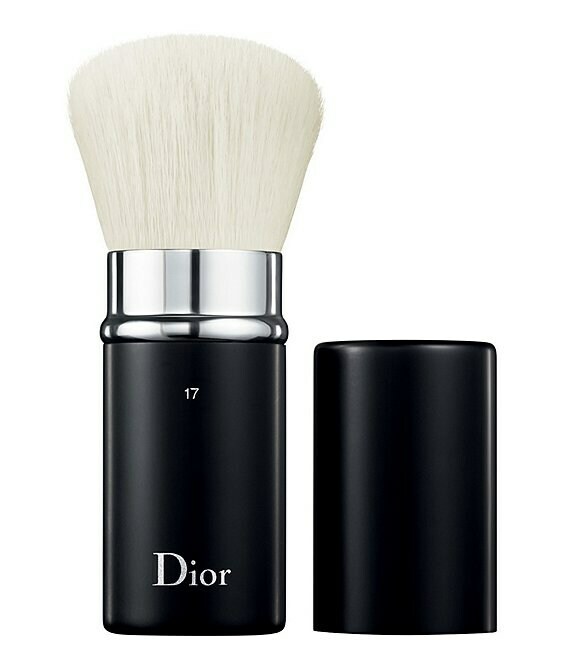 Drawing inspiration from backstage Dior runway shows, the retractable kabuki brush No. 17 is designed for perfect, simple makeup application. It is the ideal tool for use with bronzer powders. This on-the-go brush in an ultra-practical retractable format applies powder for a guaranteed natural result. Its rounded shape and dense bristles pick up just the right amount of bronzing pigments and blend them into the skin for a smooth and even sun-kissed complexion.Its incredibly soft, natural fibers deliver flawless application for perfectly even colour and a true-to-life healthy glow. Recommended for use with: Loose or compact powder and bronzer powder.